Tama is on vacation this week. 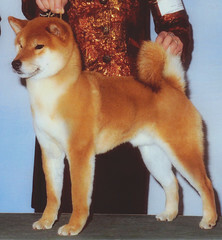 And because of it, hopefully in about two months we'll have little shiba puppies again. After her last litter turning out so nice, with the help of Tama's breeder, we picked a nice moderately-sized male to breed her to.